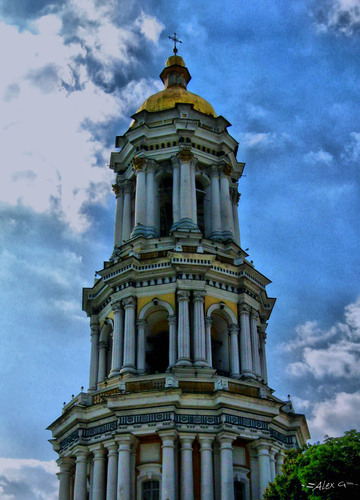 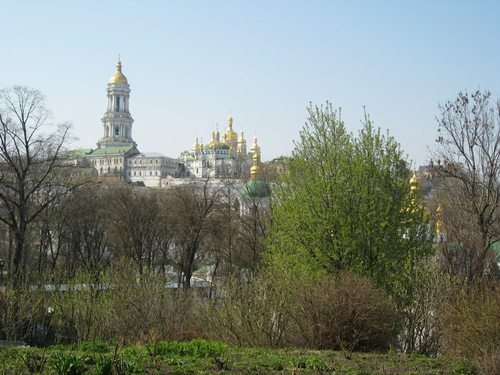 Kiev Pechersk Lavra or Kyiv Pechersk Lavra, also known as the Kiev Monastery of the Caves, is a historic Orthodox Christian monastery which gave its name to one of the city districts where it is located in Kiev. 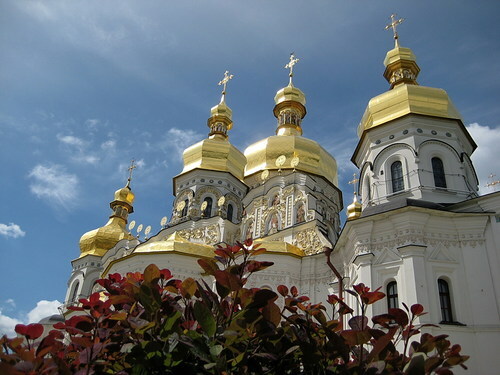 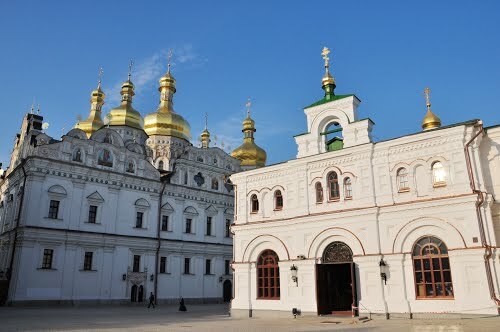 Since its foundation as the cave monastery in 1051 the Lavra has been a preeminent center of the Eastern Orthodox Christianity in Eastern Europe. 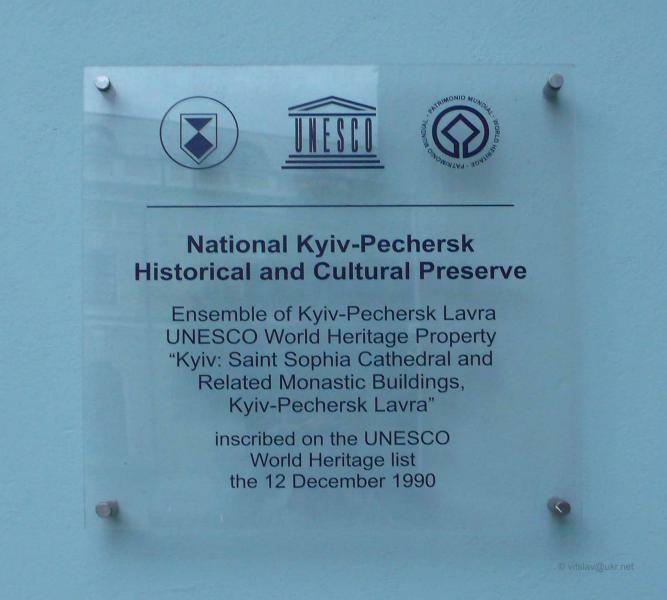 Together with the Saint Sophia Cathedral, it is inscribed as a UNESCO World Heritage Site. 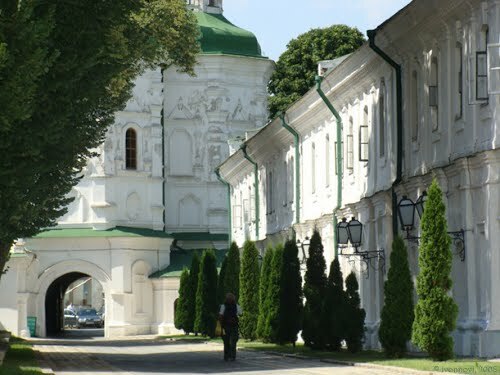 The monastery complex is considered a separate national historic-cultural preserve (sanctuary), the national status to which was granted on 13 March 1996. 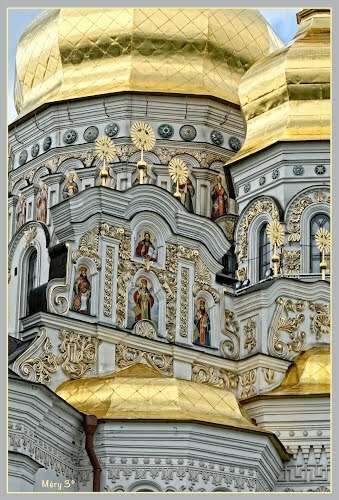 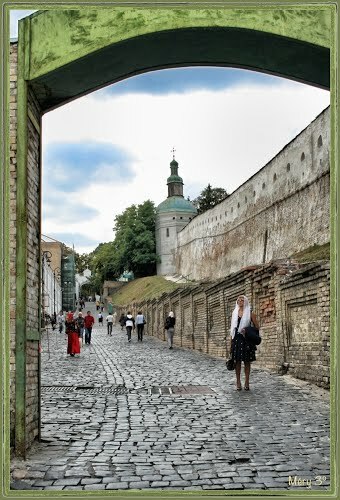 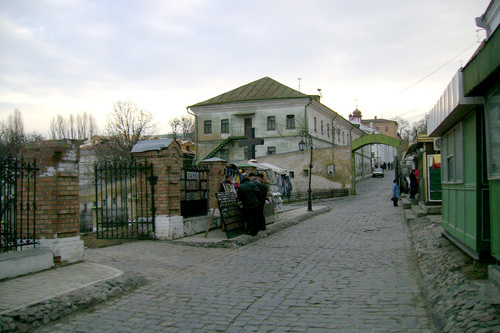 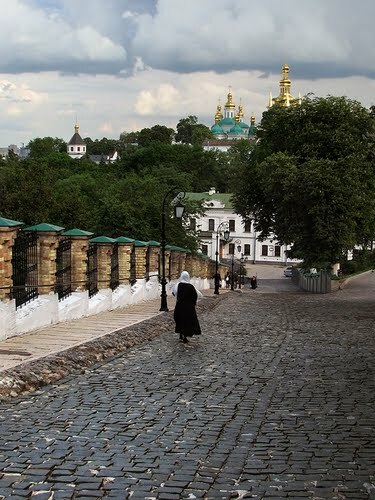 The Lavra is not only located in another part of the city, but is part of a different national sanctuary than Saint Sophia Cathedral. 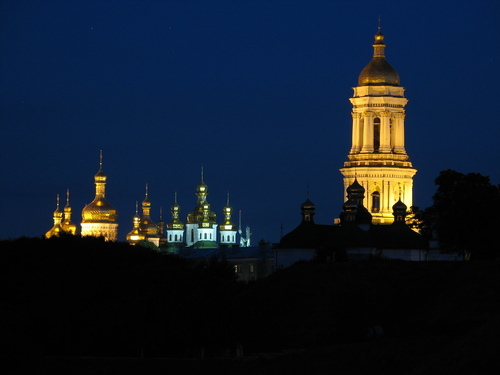 While being a cultural attraction, the monastery is currently active. 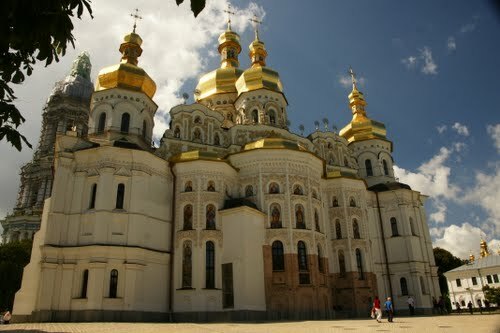 It was named one of the Seven Wonders of Ukraine on 21 August 2007, based on voting by experts and the internet community. 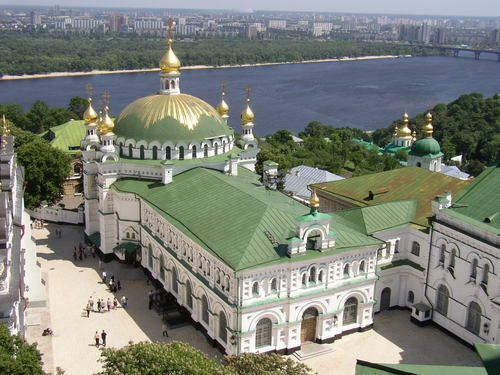 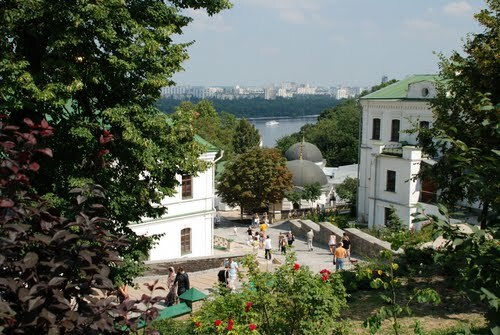 Currently, the jurisdiction over the site is divided between the state museum, National Kiev-Pechersk Historic-Cultural Preserve, and the Ukrainian Orthodox Church (Moscow Patriarchy) as the site of the chief monastery of that Church and the residence of its leader, Metropolitan Onuphrius. 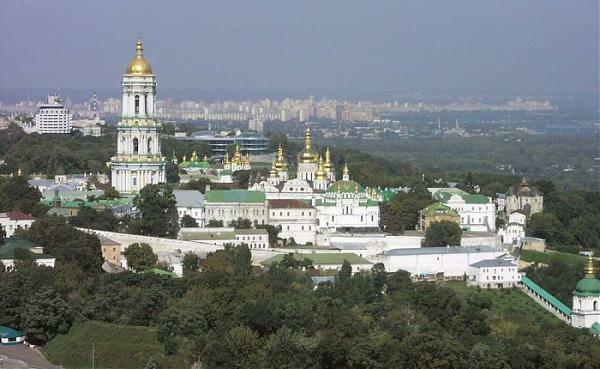 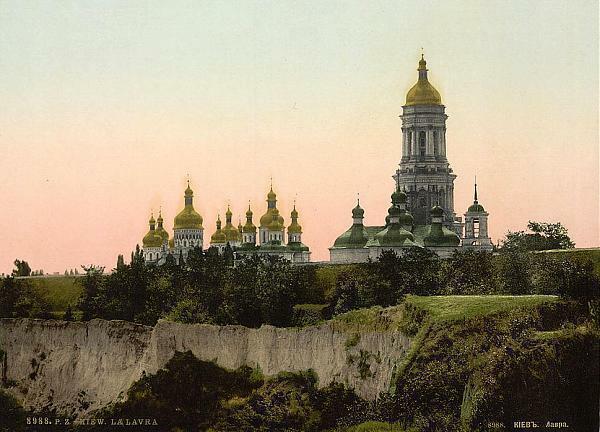 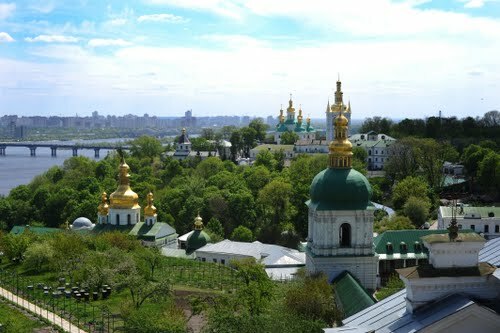 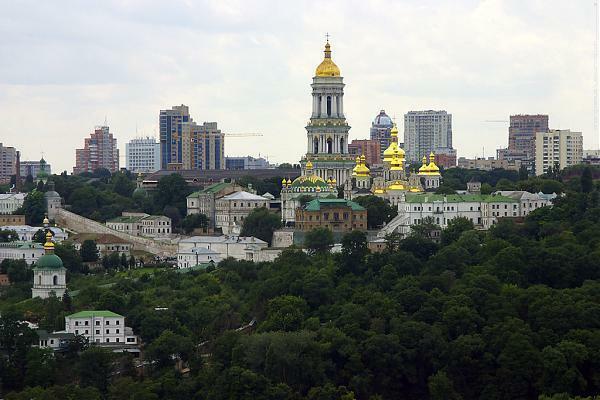 Kiev: Laure des Grottes et vue sur la rive opposée du Dniepr - (Pechersk Lavra and view on the opposite bank of the Dnieper). 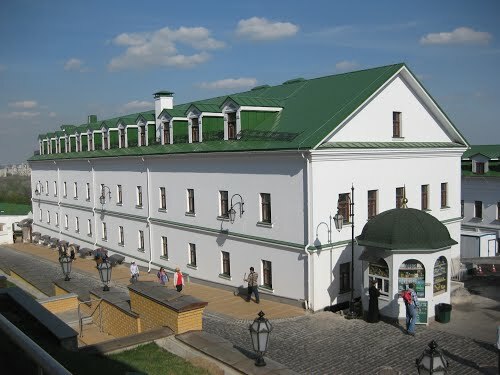 Visitando el monasterio. 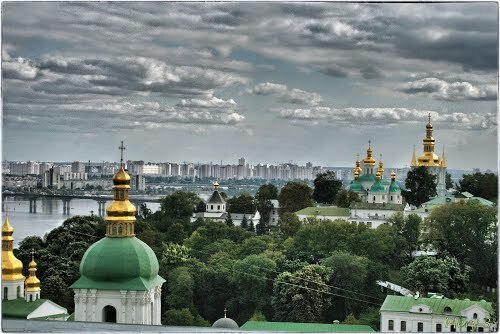 Посещая монастырь.